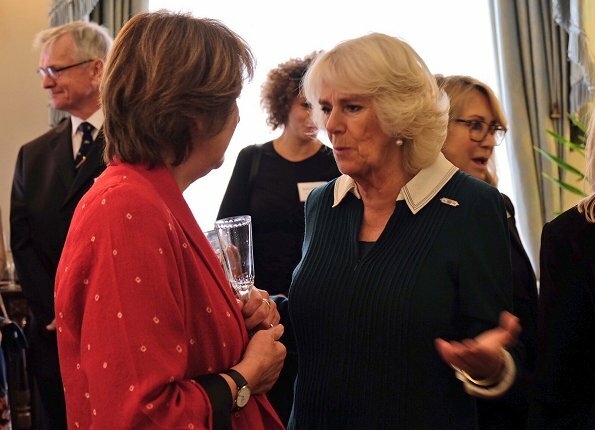 Duchess Camilla of Cornwall hosted a reception to celebrate the launch of the 'Our Amazing People' campaign at Clarence House on October 17, 2017 in London, England. 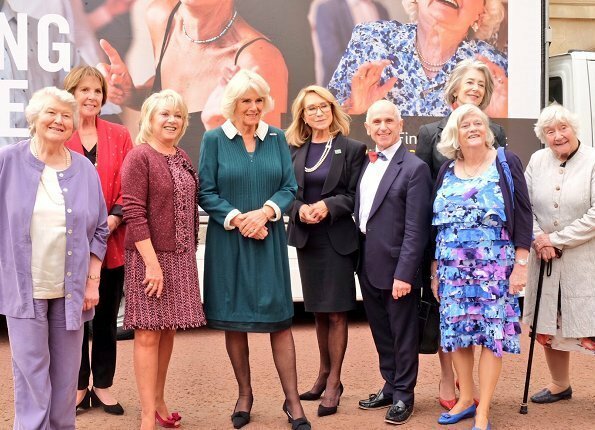 The Duchess of Cornwall is an advocate of active ageing and the welfare of the older generation. 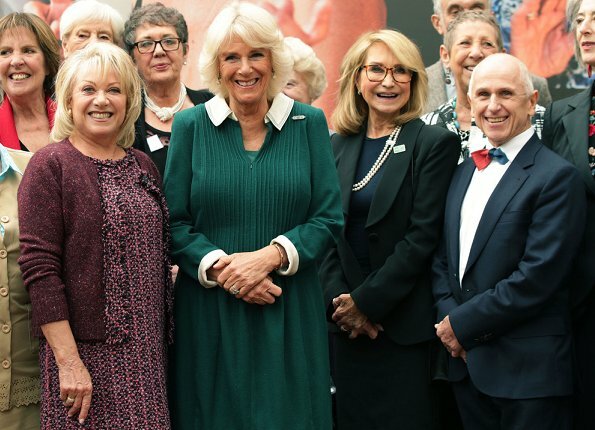 Her Royal Highness has been President of the Royal Voluntary Service since 2012 and became patron of The Silver Line, a helpline for elderly people, as part of her 70th birthday celebrations this summer. What do you think she should wear? Mini skirts? cold shoulders? The dress was appropriate for the occasion. 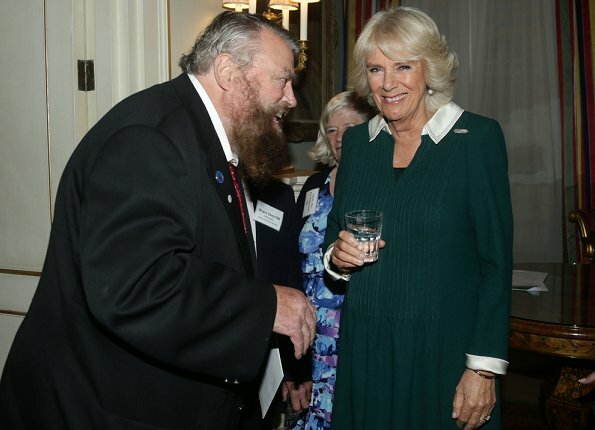 It would have made the attendees comfortable rather than being dazzled by royalty. No, Barbara; she could dress like queen Sonja, queen Silvia and great duchess Maria Teresa do. With style. I think she does dress with style - her outfits are usually smart and practical with some lovely accessories. As to the others they have hit and miss moments just like most people. Maria Teresa in particular is fond of boxy square outfits in shiny fabrics that make her look squat and dumpy. considering the caftan like thing Queen Silvia was in a few days ago, I think the Duchess is just fine. Agree, I think she looks nice enough here. Obviously her target is not to be the most fashionable person in the world and over shine Charles (like Diana did) but to be herself. Also she is not any queen or great duchess, probably her clothes will be different when Charles is a king. She could change her hair style. She's been wearing it exactly the same since she was a teenager. She could emulate other royalty, some much older, and dress a bit younger and classier. I don't like her hair style but it sort of suits her. As for the dress, she's 70, I can't see her dressing flamboyantly like Maxima. There are occasions when/where she dresses younger, this was not one of them. Camilla has her own style and it suits her. She does not favor form fitting outfits and most of her dresses/coats are styled similar to this green dress. As for her hair, I hear that Prince Charles likes it the way she wears it. Camilla need a hair cut, always that long hair. A smart practical outfit and she is always friendly and welcoming. I think her hair is fine. Strange event, all the 'old people' are actually actors/actresses/ex politicians not 'real people' if you get my meaning, most are still gainfully employed and on large pensions. It was just a "lets pat some famous people on the back because they managed to last until they are over 60 event". I doubt any one of them would know about the real day to day difficulties and struggles that face most elderly people.